Twins Terrell Bruce and Brandon Bruce. Terrell, on left, was shot and killed in 2016. 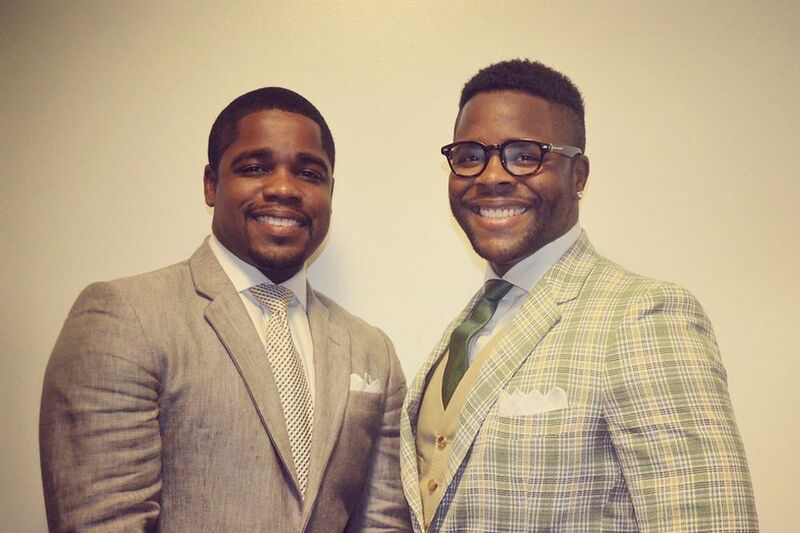 His brother Brandon started the Terrell L. Bruce Memorial Fund in his memory. Every month, Brandon Bruce types his twin brother’s name into Google only to see — yet again — his brother inextricably tied to the woman who murdered him. It’s always turned his stomach, how the killer’s good looks and Ivy League education seemed to dominate the headlines, how all the good deeds that defined Terrell Bruce’s life were reduced to the criminal act that ended it. “It’s almost too much sometimes,” Brandon said. It overshadowed the legacy of the 33-year-old brother who was born just seven minutes after Brandon and compounded their shared heartache. The twins were just 13 when their mother died of leukemia. In 2009, their youngest brother, Nathaniel Kirkland, drowned two weeks after his 20th birthday during a college service trip to Guatemala. Terrell started a scholarship fund in Nate’s name. The Realtor took on a part-time job at Iron Hill Brewery to help raise money for four $500 scholarships for Philadelphia high school students. Seven years later, on Dec. 27, 2016, he would die on his younger brother’s birthday, shot point blank while driving in a car with the woman who pulled the trigger. Nathaniel Kirkland. His brother Terrell Bruce started a scholarship fund in Nate's name after he drowned during a college service trip in 2009. And now, two years on, the internet stings, with obscene glamour shots of his murderer and lasting headlines about how Terrell’s killer insists she didn’t mean to shoot him and how she was a wonderful person who “loved extra hard.” How, after all the anguish she caused, she pleaded guilty to third-degree murder and related counts and was sentenced to 22 to 44 years in prison — “leaving her enough time to still have a life even though she took my brother’s,” Brandon said. But that focus, lopsided and painful as it is, has also motivated him to continue Terrell’s work, both the scholarship fund in their younger brother’s name, and the Terrell L. Bruce Memorial Fund he started to honor his twin. Two students are awarded $1,102.83 each, an amount Brandon chose in honor of Terrell’s Nov. 2, 1983, date of birth. “I couldn’t let his legacy become another part of the tragedy,” he said. Twins Terrell (left) and Brandon Bruce as children. Terrell Bruce was shot and killed in 2016. It hasn’t been easy. The lawyer with the U.S. Food and Drug Administration lives in San Diego now, and time and life move on. With each passing year, people’s attentions move on, too. He can’t bear the thought that one day his brother’s death might be remembered only as “that crazy story, that guy that was shot.” So the twin commits himself to doing everything he can to keep that from happening. Fund-raising was easier right after Terrell died, and even the year after. But now, it’s a struggle. To donate, visit https://www.terrelllbrucememorialfund.org/ Bruce isn’t complaining. He’ll do what it takes to continue the scholarships and the volunteer and outreach work that were so important to his brother, even if it means continuing to dip into his own pockets. “I don’t think Philadelphia students should lose out,” he said. But as important as Philadelphia was to his brother, his twin also wants to take his brother’s work beyond their hometown. Last month he hosted a career day at Mission Bay High School in San Diego, a school whose economic and racial demographics remind him a lot of Roxborough High School, the twins' alma mater. He wanted to help expose the students to career paths they might not necessarily have considered. He wanted them to know that anything is possible, a belief his brother lived by. Most of all, he wants to one day be able to type his brother’s name into a computer and have the only results be of the legacy his twin left behind and the lives he made better, even after his death.